MOSCOW – The Hyundai ix35 won best compact SUV in Car of the Year awards as chosen by consumers. The ix35 was picked by readers of www.automobilgoda.ru, a leading Russian automotive publication. The ix35 emerged from a list of 22 finalists taken from a field of 375 nominees. Hyundai ix35 entered the Russian market in 2010 and has quickly gained acceptance. 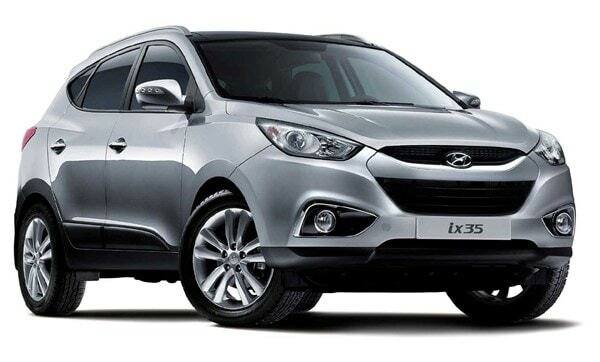 The ix35 was envisioned as a versatile and stylish crossover, crafted with Hyundai’s Fluidic Sculpture design language. Additionally, ix35 received the maximum five-star safety rating in crash tests, making it one of safest vehicles in its class. 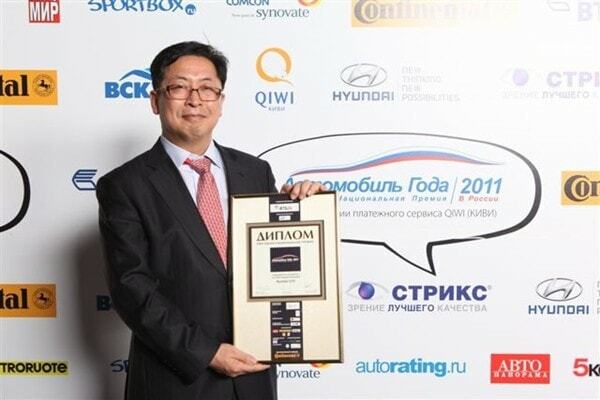 Hyundai Motor CIS Director General Karry Cho accepted the award and thanked all who voted for ix35. He said he hoped that Russian consumers would bestow similar awards on other Hyundai models. Hyundai Motor CIS has been an official partner of the Car of the Year award for two years. One voter was chosen at random by computer to win a new Hyundai Sonata. Denis Petrunin, managing director of Hyundai Motor CIS, presented the Sonata’s keys to the winner. In addition to the Car of the Year awards, a social-media contest was held to find the Russian car owner with the best knowledge of traffic safety regulations. The winner of this contest received a new Hyundai Solaris. The winner was congratulated by Leonid Kuznetsov, chief executive of Hyundai Motor CIS.